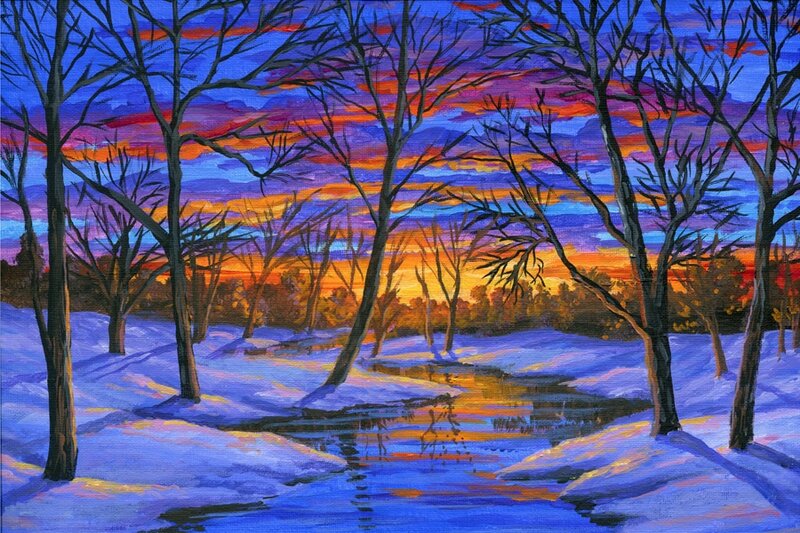 Painting lesson #88: How to paint a winter landscape using acrylics on canvas by Ben Saber. This painting lesson is an easy step by step process from start to finish. This is a narrated and well explained video (2 hours long). You can purchase online viewing for this lesson for $4.99 or a pass to all of the videos on this website for a one time fee of just $19.99. After making payment with paypal you will get the video(s) link on your computer right away. An email with the link will be sent as well.